Many foreign companies which are interested in making investments to China have been often struggling from choosing their investment vehicle in China, especially between a Wholly-Foreign Owned Enterprise (hereinafter referred to as “WFOE”) or a foreign Representative Office (hereinafter referred to as “RO”). This article will use a table to briefly illustrate the difference between a WFOE and a RO. New foreign investors have better further consult a legal profession to navigate the important aspects of these two vehicles. As an independent legal person, WFOE has full capacity to change its business scope, address, legal representative. RO is not a legal person and is dependent on its headquarters to change registered items such as business scope, address, responsible person. RO can only make arrangement for ordering, shipment as well as inspection, etc. on behalf its headquarters. It is not entitled to generate income or to issue invoice. As an independent legal person, WFOE’s legal liability is limited to the extent of its whole subscribed capital. RO is dependent on its headquarters and all of its legal liabilities fall on the parent company. WFOEs are allowed to conduct sales activities and issues invoices in China. They can hire local employees and there is no limitation on how many foreign employees it can hire. RO’s scope of business is restricted, primarily to liaison, product introduction, market research, technology exchange and other indirect business activities. No formal sales activities are allowed and no invoices can be issued at all. Besides, RO can only hire representatives up to four in maximum. It has to hire local staffs, who are not representatives of the RO, through an authorized staffing agency. Though there is no initial paid-up capital, an RO will incur monthly expenditures. Parent company can just deposit money into RO’s bank account whenever RO needs more funds. In contrast to the RO, the WFOE will need initial capital contributions, which will differ from industry to industry. For trade WFOES, the minimum registered capital is usually 500,000 RMB. For the ease of import/export license and normal taxpayer status application, it is recommended that trading companies have a registered capital of one million RMB. In general, time required for the RO set up application will be approximately 2 months. Application for the Certificate of Leasing Registration will take 8 business days. Application for the Registration Certificate will take 15 business days. Application for the Tax Registration will take 8 business days. Opening the Bank Account will take 8 business days. In contrast to the RO, the registration of a WFOE will be relatively complicated. The pre registration, approval for registration, registration and post registration will take 3-4 months. WFOE are only taxed on their operating profit and the profit tax rate is at 25% in most cases. Preferential tax rate is being offered in some areas. Besides, the business loss of the WFOE can be used for offsetting the profits in the coming 5-year. In contrast, China’s State Administration for Industry and Commerce (SAIC) instituted stricter regulations for RO in 2010, which make RO pay corporate income tax. And the deemed profit margin is at 15% and the effective tax rate is at 10.7%, as well as the sales tax and the VAT. It is worth noting that these new restrictions do not apply to representative offices of foreign law firms. SAIC’s 2010 regulation requires the RO to have its annual renewal that has imposed a significant maintenance costs over years. In other words, RO needs to spend a substantial of money on annual inspection and report, while WFOE does not have to pay. Foreign investors need to take this factor into consideration when comparing between RO and WFOE. WFOE is now a better option for most investors because the SAIC’s policy change levied toward the RO in recent years. But there are some circumstances where an RO is still the best option for a company’s Chinese venture. 1. Flexibility & Independence Independent and flexible Dependent and inflexible. 2. Legal Liability Limited to the extent of its whole subscribed capital Fall on the parent company. 3. Business Scopes WFOEs can engage in business activities under the guidance of the business scope defined Scope of activities is restricted. 4. 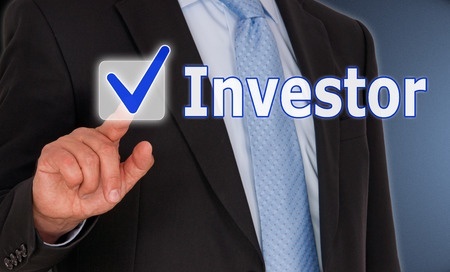 Initial Capital Contribution Registered capital is required No paid-up capital required. Amit Ben-Yehoshua is a dual citizens of the United States and Israel and is licensed to practice law in California and Israel. Amit has over sixteen years of legal experience and holds a Master Degree in Chinese law from Tsinghua University in Beijing. Amit is a co-founder of the Israeli Chamber of Commerce in China and the Israeli Chamber of Commerce in Shanghai and served as a member of their respective Board of Directors. Amit served as Senior Consultant for Dacheng Law Offices in Shanghai, China’s biggest law firm, and specializes in international investments between China, Israel and USA.